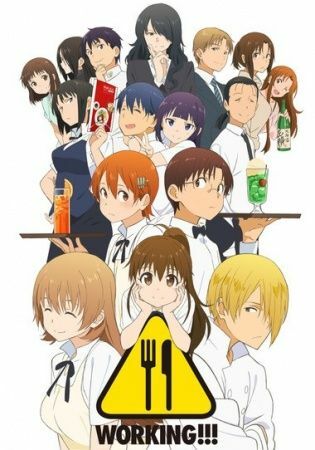 As the stories of those connected to Wagnaria come to a close, only one thing is certain: the workplace is about to get crazier than ever before! Whether it be incredibly awkward romances, relentless searches for lost relatives, or even uncomfortable family reunions, lover of all things cute and tiny Souta Takanashi and his motley crew have plenty on their plates. With more Napoleon complexes, androphobia, and katana-wielding than you can shake a frying pan at, Working!!! delivers a final serving of the staff's hilarious misadventures working at everybody's favorite family restaurant.